Cook and drain pasta as directed on package. Rinse with cold water to cool; drain well. In serving bowl, stir pasta and remaining ingredients. Serve immediately, or refrigerate 1 hour before serving. 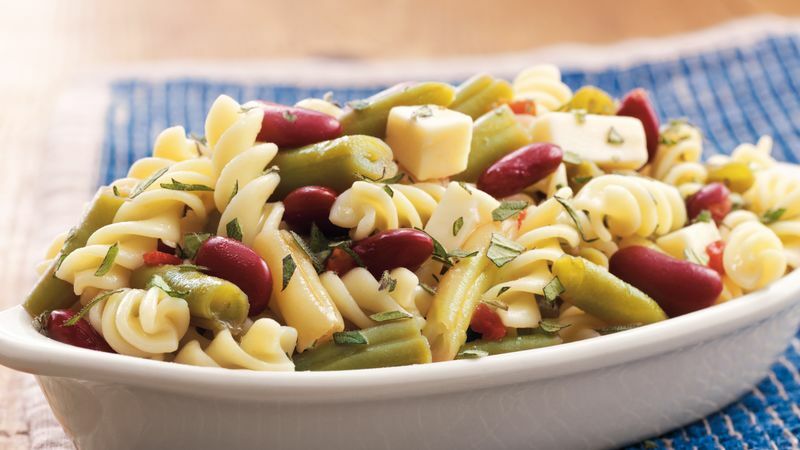 Look for cans or jars of three-bean salad in the canned vegetable section of the grocery store. Penne pasta can be substituted for the rotini.